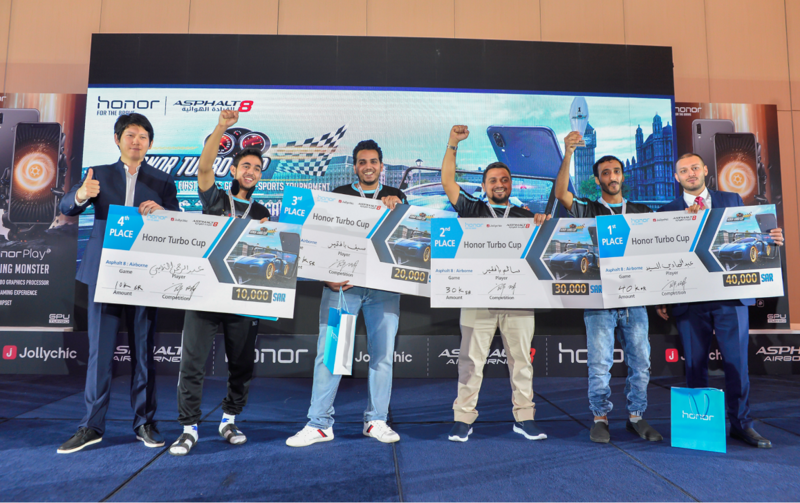 Honor, the leading smartphone e-brand under the Huawei Group held the first-ever mobile e-sports tournament at the Sultan Hall of Al Faisaliah Hotel in Riyadh on 25th October, which saw more than 120 players attend alongside Honor, JollyChic and Gameloft fans. The successful tournament featured the all new Asphalt 8: Airborne from Gameloft, the world’s most downloaded mobile game with the Honor Play, the official gaming phone from Honor, serving as the official smartphone of the tournament. Honor also took this opportunity to showcase the new Red color from its latest device, Honor 8X, the fashion-centric option for its new flagship phone. Players battled it out for a cash prize total of 100,000 SAR, which was divided into four prizes. The winner of the tournament walked home with whopping 40,000 SAR. The runner-up and second runner-up were awarded 30,000 SAR and 20,000 SAR respectively, while the third runner-up won 10,000 SAR. The top four winners also received an Honor Play for themselves each.